Water is as important as oxygen to lead a healthy life. This is largely because your body cannot function properly without enough water which accounts for 60 percent of your total body weight. Water is responsible for the transport of oxygen, fat and nutrients to muscles, regulation of body temperature, elimination of toxins and waste from the body as well as maintaining a moist environment for body tissues and joints. One category of hydrating foods comprises of water-logged fruits that provide a sumptuous way to supply your body with ample amounts of water, in addition to vitamins, minerals antioxidants, and fiber that do more than just keep you hydrated. Eating more water-rich fruits has other health benefits too. Such fruits are low in calories and help with weight loss by keeping you satiated for extended periods. Water-rich fruits also help flush waste and toxins out of the body. Aim to eat water-rich fruits with about 85 percent or higher water content. You can eat the fruits raw, or make smoothies or juices out of them. Eat 2 cups of fruits per day to provide your body with fluids. However, try not to go overboard as excessive consumption of fruits can prove to be counter-protective, given they do contain some calories. What are the Side-Effects of Insufficient Water Intake? Health experts recommend drinking water throughout the day to keep the body hydrated, with the stipulated daily intake being 3-4 liters for an average adult. If you don’t get your adequate fill of fluids on a regular basis, it can lead to dehydration which itself is a wellspring of multiple health issues. This grave deficiency of water can bring in its wake headaches, loss of appetite, skin ailments, unexplained fatigue, muscle cramps, low blood pressure, seizures, and rapid heart rate. Moreover, if the condition is allowed to persist for a prolonged period, it can even lead to organ failure or death. Thus, the importance of water intake for sustainable health cannot be stressed enough. However, even the most health conscious and fitness-driven individuals find gulping several glasses of water to meet their daily recommended intake to be a bit of a dreary task. One nifty alternative to this fix is to diversify the sources from which you derive water. After all, water is not the only way to keep the body hydrated. According to the National Academies, a majority of people derive about 20 percent of their water intake through food. Here are 10 mouthwatering fruits that will keep you hydrated. Watermelon is one of the most water-rich fruits you can eat. It contains essential rehydration salts-calcium, magnesium, potassium, and sodium-that help keep the body hydrated and largely reduce the chance of dehydration. According to a 2009 study by the University of Aberdeen Medical School researchers, watermelon helps hydrate the body twice as effectively as a glass of water after an intense workout. In addition, watermelon is a good source of vitamin C and A, beta-carotene, and lycopene, which keep your body fit and healthy. Lycopene also protects the body from the damaging effects of ultraviolet (UV) rays. 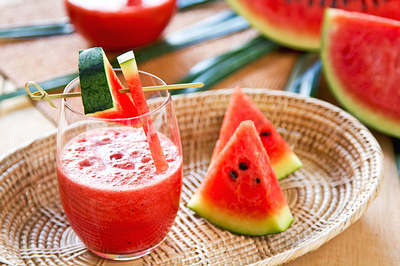 You can eat raw watermelon as it is, or add it to your fruit salads and smoothies. You can even keep a water pitcher in the refrigerator with watermelon cubes in the bottom for extra hydration. 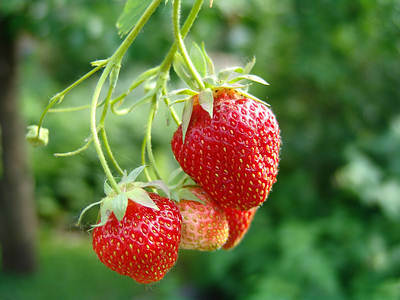 All berries are good foods for hydration, but strawberries are the best with 92 percent water. They also contain vitamin C, potassium, fiber and folic acid. The fiber in strawberries has a satiating effect that keeps you feeling full for longer, and thereby reduces your urge to binge at the next meal or indulge in unhealthy snacking between meals. In addition, these berries are low on the glycemic index, meaning they won’t spike your blood sugar. Thus, strawberries work as an excellent munchie to nibble on between meals. Strawberries offer a wide range of health benefits, from anti-aging effects to supporting cardiovascular health. On account of their sweet, slightly tart flavor, strawberries are well-received by both adults as well as kids. Eat a handful of ripe strawberries daily as a healthy snack. Another option is to incorporate them into your salads or concoct smoothies out of them. 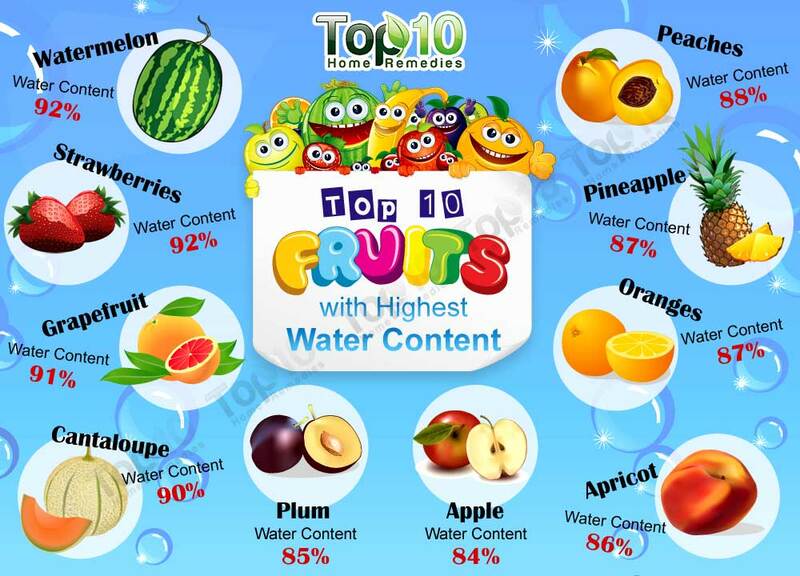 In addition to strawberries, cranberries, blueberries, and raspberries also have high water content. It is high in soluble fiber and vitamin C and contains smaller amounts of vitamins A, B-complex, E, and K. It also has calcium, folate, phosphorus, potassium, and several phytonutrients. 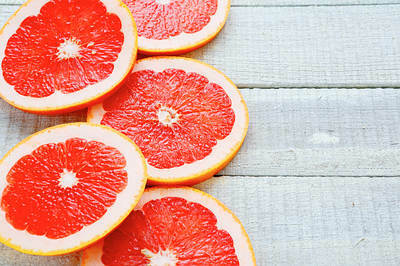 To name just a few of its perks, regular intake of grapefruit can regulate your insulin, help control your appetite, protect against the common cold, aid in weight loss, and make your skin beautiful. Note: This fruit may interact with certain medications like blood pressure medications and may not be suitable for women with hormone-sensitive conditions. 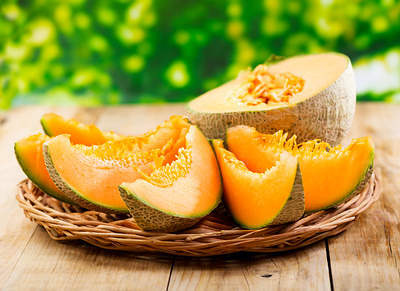 Cantaloupe, also known as muskmelon or mush melon, is another high-water content fruit replete with 90 percent water. Cantaloupe also contains potassium, an important electrolyte that is often lost due to excessive perspiration, thereby inviting the risk of dehydration. Other vital nutrients found in cantaloupe are vitamin A, C, and K, protein, fiber, folate, calcium, and iron. Regular intake of cantaloupe reduces the risk of obesity, diabetes, and heart disease while promoting healthy skin and hair. 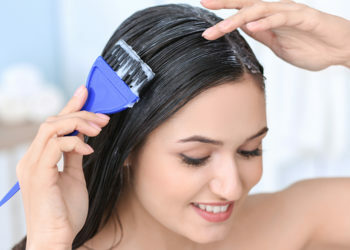 It also provides protection against a range of diseases and health conditions from something as trivial as the common cold to graver concerns like cancer. Add some ice to freshly-squeezed cantaloupe juice and voila! You have a refreshing and hydrating drink to beat the wretched summer heat. Peaches contain about 88 percent water content, making them a great solution to beat dehydration. Fresh peaches are both succulent and sweet-tasting, making them a delectable healthy treat. They are a rich source of vitamins, minerals, antioxidants, and various other chemical contents. Peaches contain vitamin A, C, and K as well as fiber, potassium, folate, iron, magnesium, phosphorus, and manganese. At the same time, they are low in calories and contain no saturated fats. 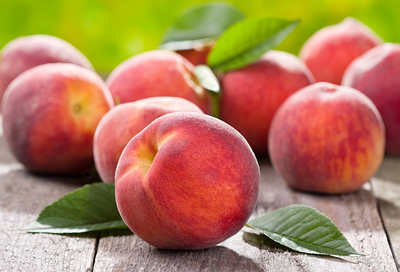 Peaches help fight obesity and prevent related diseases like diabetes, metabolic syndrome, and cardiovascular disease. Try to eat peaches with their skin on as it is laced with some of its most potent vitamins as well as disease-fighting antioxidants like chlorogenic acid. You can muddle ripe peaches into your glass of lemonade, iced tea, or water to make a refreshing drink. Another option is to add sliced peaches to your oatmeal, yogurt, and cold cereals. Abundantly supplied with an impressive 87 percent water content, oranges also make the list the top-tier water-laden fruits. They are low in calories but full of nutrients, such as vitamin A, B, and C as well as calcium, magnesium, niacin, potassium, phosphorus, manganese, choline, selenium, and copper. They also have more than 170 phytochemicals and over 60 flavonoids with strong anti-inflammatory and antioxidant effects. This deliciously citrus fruit with a tangy flavor and rejuvenating smell can prevent dehydration and promote overall health. Regular intake can boost your immune system, improve your skin, promote heart health, reduce cholesterol levels, and fight certain types of cancer. 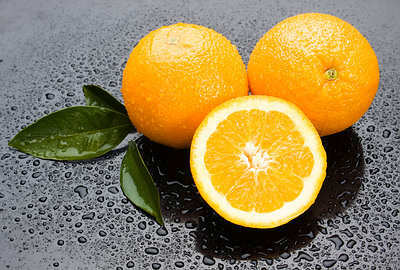 You can also include oranges in smoothies, soups, stews, cocktails, and salads. Pineapple is another fruit endowed with water content accounting for 87 percent of its composition. Moreover it is a powerhouse of nutrients, such as vitamin A and C, thiamin, calcium, potassium, phosphorus, manganese, folate, and fiber. Pineapple also contains a proteolytic enzyme called bromelain that yields anti-inflammatory, digestive, detoxing, and immunity-boosting properties. It is also low in sodium and fat which just adds to its healthy appeal. 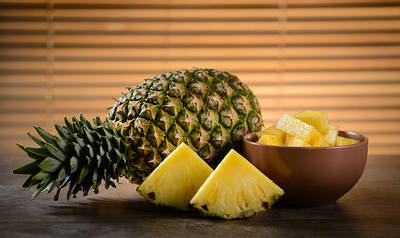 Thus, pineapple can help boost your immune system, improve digestion, promote eye health, and make your bones stronger. The sugar content of Pineapples is relatively higher than other fruits, so try to keep servings to a ½ c daily. You can have fresh pineapple juice or make yummy pineapple popsicles during the hot summer months. You can also enjoy it as a fruit snack or add it to your fruit salad, stir-fry, and soups. Apricots contain 86 percent water. They also contain electrolytes like potassium and sodium that help maintain a stable fluid level in the body. This is essential to prevent dehydration. They are also a good source of vitamin A and C, copper, and phytochemicals called carotenoids. This low-calorie fruit also contains significant amounts of both insoluble and soluble fiber. 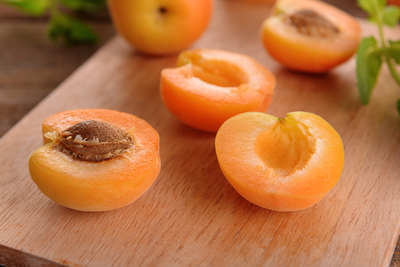 Apricots help support muscle function, regulate heartbeat, prevent heart disease, reduce bad cholesterol levels, and offer protection against many types of cancer. The best way to enjoy apricots is as a healthy snack. Tired of listening to the oft-repeated phrase that an apple day keeps the doctor away? Well, here’s a reminder to show that this claim does indeed hold considerable water. First off, apples contain an ample supply of water which accounts for 86 percent of its total content. Besides, this flavorsome fruit is a nutritional powerhouse containing important nutrients, such as vitamin C and B-complex (riboflavin, thiamin and vitamin B6), dietary fiber, calcium, potassium, phosphorus, and several phytonutrients. 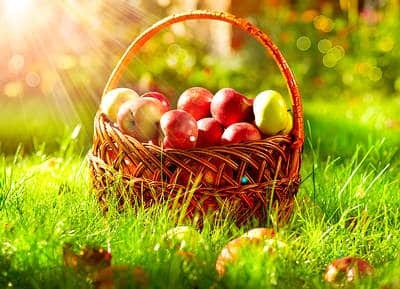 Apples come bearing myriad health benefits including their ability to boost the immune system, improve digestion, promote heart health, healthy skin as well as improved vision. It can also reduce the risk of cancer, hypertension, diabetes and heart disease. Almost everyone likes the crispy, crunchy and juicy taste of apples which makes it all the more convenient to incorporate them into your culinary preparations. Wash an apple thoroughly and eat it unpeeled for breakfast. Diced apples also make great value addition to your fruit or green salads. Plums are another fruit with high water content figuring at 85 percent that can help you stay hydrated during sweaty summers. This fruit is an excellent source of potassium, an important electrolyte that keeps the body hydrated. It also contains an assortment of healthy nutrients, such as vitamin A, C, K, and B as well as iron, phosphorous, magnesium, calcium, and dietary fiber. They are also low in calories. 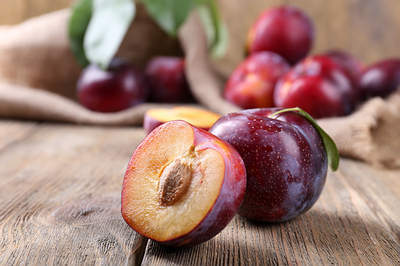 Regular intake of plums can help manage high blood pressure, reduce stroke risk, protect against cancer, and provide relief from indigestion, influenza, and anxiety-related problems. Eat a few ripe plums as a healthy afternoon snack. You can also add plum pieces to your fruit salad, smoothies, or glass of mixed fruit juice. Report Sets Dietary Intake Levels for Water, Salt, and Potassium To Maintain Health and Reduce Chronic Disease Risk. The National Academies. https://www8.nationalacademies.org/onpinews/newsitem.aspx?RecordID=10925. Published February 11, 2004. Basic Report: 09326, Watermelon, raw. USDA Food Composition Databases. https://ndb.nal.usda.gov/ndb/foods/show/09326. Published April 2018. Basic Report: 09316, Strawberries, raw. USDA Food Composition Databases. https://ndb.nal.usda.gov/ndb/foods/show/09316. Published April 2018. López AV-, Afrin S, Battino M. Promising Health Benefits of the Strawberry: A Focus on Clinical Studies. Journal of Agricultural and Food Chemistry. https://pubs.acs.org/doi/10.1021/acs.jafc.6b00857. Published May 13, 2016. Basic Report: 09404, Grapefruit juice, pink, raw. USDA Food Composition Databases. https://ndb.nal.usda.gov/ndb/foods/show/09404. Published April 2018. Fujioka K, Greenway F, Sheard J, Ying Y. The effects of grapefruit on weight and insulin resistance: relationship to the metabolic syndrome. Journal of Medicinal Food. https://www.ncbi.nlm.nih.gov/pubmed/16579728. Published 2006. Basic Report: 09181, Melons, cantaloupe, raw. USDA Food Composition Databases. https://ndb.nal.usda.gov/ndb/foods/show/09181. Published April 2018. Lester G. Melon (Cucumis melo L.) Fruit Nutritional Quality and Health Functionality. Hort Technology. http://horttech.ashspublications.org/content/7/3/222.abstract. Published 1997. Basic Report: 09236, Peaches, yellow, raw. USDA Food Composition Databases. https://ndb.nal.usda.gov/ndb/foods/show/09236. Published April 2018. Gelain DP, Klafke K, Vizzotto M. Effects of different products of peach (Prunus persica L. Batsch) from a variety developed in southern Brazil on oxidative stress and inflammatory parameters in vitro and ex vivo. Journal of Clinical Biochemistry and Nutrition. https://www.ncbi.nlm.nih.gov/pmc/articles/PMC4186376/. Published September 1, 2014. Basic Report: 09266, Pineapple, raw, all varieties. USDA Food Composition Databases. https://ndb.nal.usda.gov/ndb/foods/show/09266. Published April 2018. Kumar A, Shraddha, Jain S. Properties and Therapeutic Application of Bromelain: A Review. Biotechnology Research International. https://www.ncbi.nlm.nih.gov/pmc/articles/PMC3529416/. Published December 10, 2012. Basic Report: 09203, Oranges, raw, Florida. USDA Food Composition Databases. https://ndb.nal.usda.gov/ndb/foods/show/09203. Published April 2018.
https://www.ncbi.nlm.nih.gov/pmc/articles/PMC2533031/. Journal of Agricultural and Food Chemistry. https://www.ncbi.nlm.nih.gov/pmc/articles/PMC2533031/. Published June 29, 2005. Basic Report: 09021, Apricots, raw. USDA Food Composition Databases. https://ndb.nal.usda.gov/ndb/foods/show/09021. Published April 2018. Gull A, Safapuri TA, Prasad K. Morphological, Nutritional and potential health benefits of Apricot. A mini review. Technologies in a sustainable food system. https://www.researchgate.net/publication/309591704. Published November 2016. Basic Report: 09279, Plums, raw. USDA Food Composition Databases. https://ndb.nal.usda.gov/ndb/foods/show/09279. Published April 2018. Igwe E, Charlton K. A Systematic Review on the Health Effects of Plums ( Prunus domestica and Prunus salicina ). Phytotherapy Research. https://www.researchgate.net/publication/298899398. Published March 2016. Basic Report: 09003, Apples, raw, with skin (Includes foods for USDA’s Food Distribution Program). USDA Food Composition Databases. https://ndb.nal.usda.gov/ndb/foods/show/09003. Published April 2018. Boyer J, Liu RH. 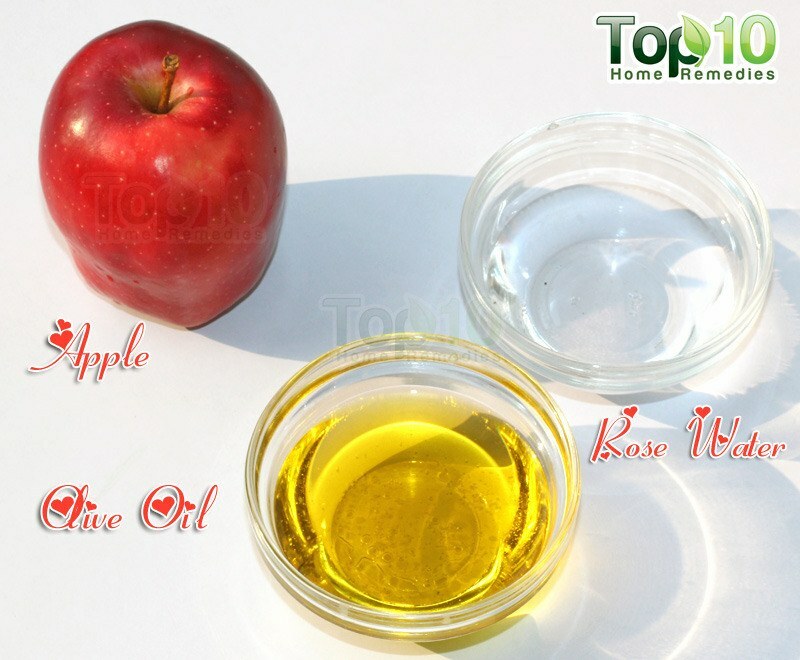 Apple phytochemicals and their health benefits. Nutrition Journal. https://www.ncbi.nlm.nih.gov/pmc/articles/PMC442131/. Published May 12, 2004. Thank you so much for the healthy information.